Much has been made of the way in which veteran video game designer Hideo Kojima left his employer Konami last year. But to most video game fans, it is clear that the Japanese legend was treated unfairly by Konami. Because not only did Konami controversially remove Kojima’s name from the box cover art of his masterpiece Metal Gear Solid V, but reportedly the Japanese company also blocked Kojima from attending the 2015 Game Awards show. But perhaps it was the cancellation of the Silent Hills video game what might have been the most disappointing and shocking event in Kojima’s bitter feud with Konami. And judging by the playable teaser released in summer 2014, Silent Hills was certainly shaping up to be a great video game, and a project in which Kojima was going to be collaborating with director Guillermo del Toro of Hellboy fame and actor Norman Reedus of The Walking Dead. 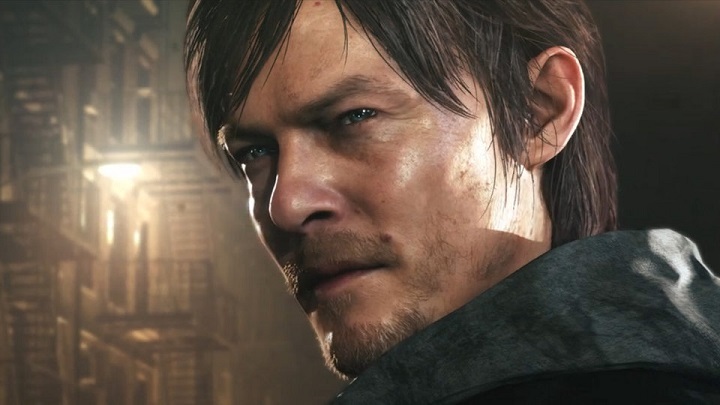 Norman Reedus was going to lend his likeness to the Silent Hills video game. 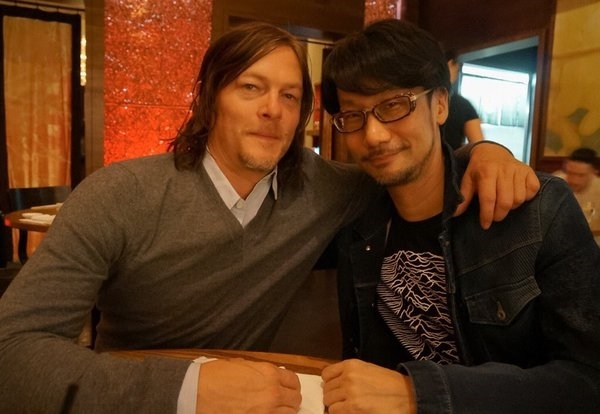 In a recent tweet, Kojima shared a photo of his recent reunion with Norman Reedus, who is well-known due to his role of Daryl Dixon in The Walking Dead series. But was this meeting pure coincidence, or do the pair plan to work together in a future video game? After all, Kojima has now founded a new studio named Kojima Productions, and since his troubled relationship with Konami is now over, nothing prevents him from working on a new game with former Silent Hills collaborators Reedus and Guillermo del Toro. And it is clear that Kojima and Guillermo del Toro are in touch, and even delivered the keynote address at the DICE summit on February 18. So it wouldn’t be surprising if the trio were thinking about resurrecting Silent Hills in some shape or form, even though it’s unlikely that it will be a horror game in the vein of the Silent Hill series. That’s because Konami still owns the franchise, and it is evident that the company has no love for Kojima (even though there were rumours last year that suggested Microsoft would be buying Silent Hill, which turned out to be false). But still, the prospect of a Kojima and Guillermo del Toro video game with Norman Reedus sure is exciting, and here’s hoping that Kojima soon reveals that he’s working on a new video game with his former Silent Hills collaborators.